Last Friday President Barack Obama outlined his ideas on how to protect the privacy of US citizens while at the same time continuing to protect citizens from terrorism and other threats. In his address at the Justice Department Obama said the US will no longer collect and store telephone metadata but will continue to do what it takes to maintain the country’s prerogative to gather intelligence. 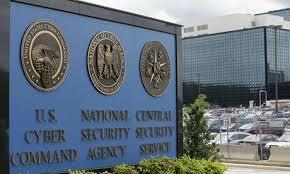 The National Security Agency, Obama explained, will implement some changes in the telephone metadata program and will end the government’s practice of storing enormous amounts of information concerning the telephone calls of American citizens. Obama’s announcement was the long-awaited response to off-shore and domestic criticism of US surveillance practices since the revelations made by Edward Snowden. Snowden, a former CIA employee and NSA contractor, began leaking classified documents last June exposing questionable spying and surveillance tactics of the NSA. In his speech Obama insisted that no laws were broken and no one was spied on by the US intelligence community. Obama said that although he will put some limits on how information is stored and accessed by government agencies, intelligence gathering is an essential part of an overall US approach to national security. As long as there are global threats to the US and US interests the US must continue to stay alert to those threats. One solution Obama floated in his speech was the notion of having the telephone information stored in locations within the private sector: either with the phone companies or with a third-party entity which could collect the date from all phone companies. Another possibility Obama mentioned was having other intelligence agency capabilities filling in and taking over the program.